Now note how little the container is. Through my research the company has explained away the size of the box versus the size of the jar that it comes in by stating that it has something to do with how its supposed to be easy to open and retrieve the jar from. “No more ruining your nails trying to open a box of product” or something like that. Ummmmmmmmm….sorry GlamGlow Inc. That just hasn’t been a big enough issue in my life for you to go and develop an entire packaging system around it. ESPECIALLY if it means tricking lil’ ol’ me into thinking I am going to get twice as much product as I am going to get. ESPECIALLY ESPECIALLY with that kind of price tag attached to it. I can safely say….that was the BIGGEST disappointment with this product. But if you read on…it really is the only one. SIDE NOTE: excuse the wretched state of my nails/hands I cant be bothered to go to the nail salon right now. I will begin by filling you in a little on what the company claims it does and what they have to say about the ingredients it contains. The following is quoted directly from my research on the products website/the information included inside the box… but it is a bit paraphrased. Green Tea Leaf– This the big kahuna ingredient in the mask. In fact, they call it TEAOXI technology. The explain that this a continuous time release technology that delivers EGCG super anti-oxidants, as well as Polyphenols (After frequent application polyphenols applied to the skin protect it against ultraviolet radiation and enhance skin cell growth), AND daily fresh Super Squalene. Squalene is a natural component comprised of human sebum that has emollient properties which soften and soothe skin. 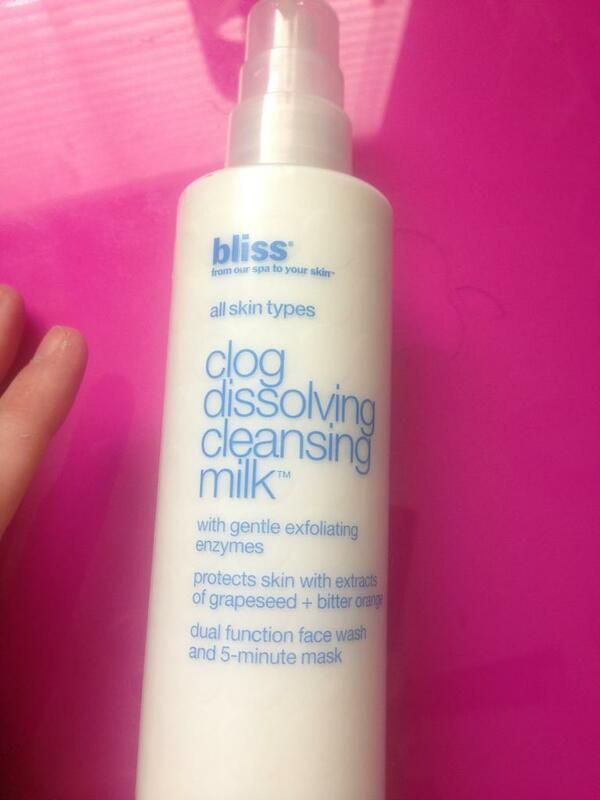 It adds a layer of oil on the skin that helps to slow water loss keeping skin soft and supple. It also has humectant properties that basically protect the skin and help prevent moisture loss. They say the TEAOXI is the “magic” behind the powerful anti-aging and anti wrinkle results. I drink A LOT of green tea because of the basquillion different health benefits it contains. So I can only imagine what a direct dose of it to the skin is capable of doing. In short it : brightens complexion, balances oil, hydrates and protects against free radicals. It is also 99.7% paraben free, vegan, cruelty free, and a natural product. 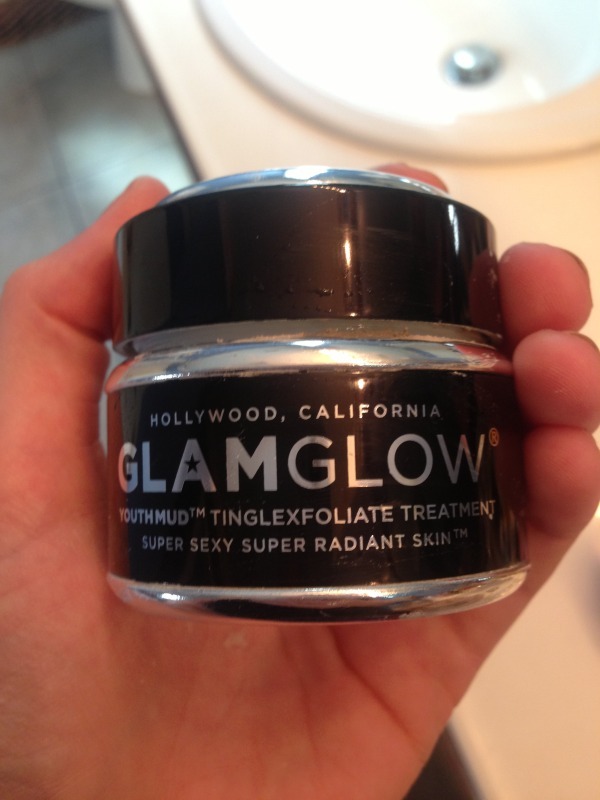 The word on the street is the product was initially developed in tinsel town for Hollywoods elite. The idea was to have a product that was a powerful multi-tasker and would quickly deliver “glowing camera ready skin with smoother texture and minimized pores”. Now….does it deliver? 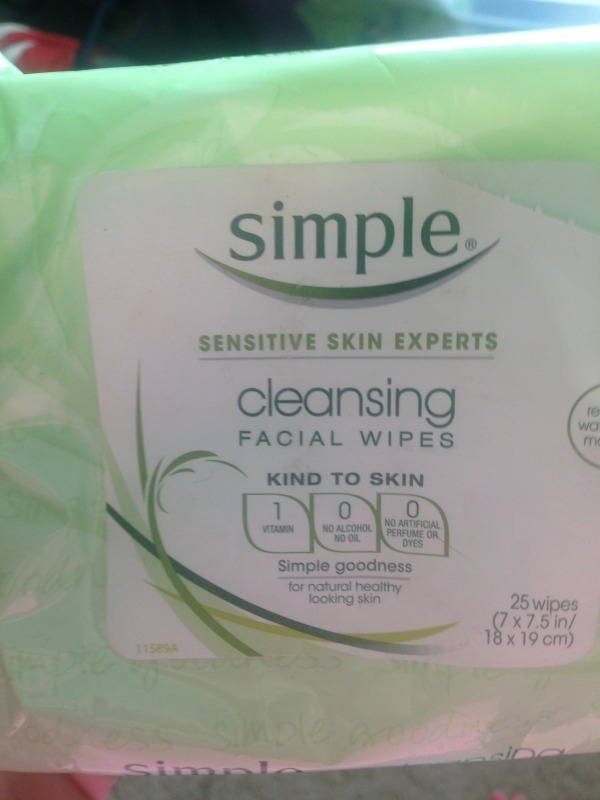 STEP 1-I remove any excess makeup or dirt from my face with my favorite makeup-removing wipes. After i have dried my skin I apply the mask. MAKE SURE you “stir” the product to help it liquify. When you open the container the fist time you will notice there is a little white plastic cover protecting the opening of the jar. DO NOT LOSE OR THROW IT AWAY!!!! If you do, your product will dry out and I guarantee you will be a sad panda if that happened. 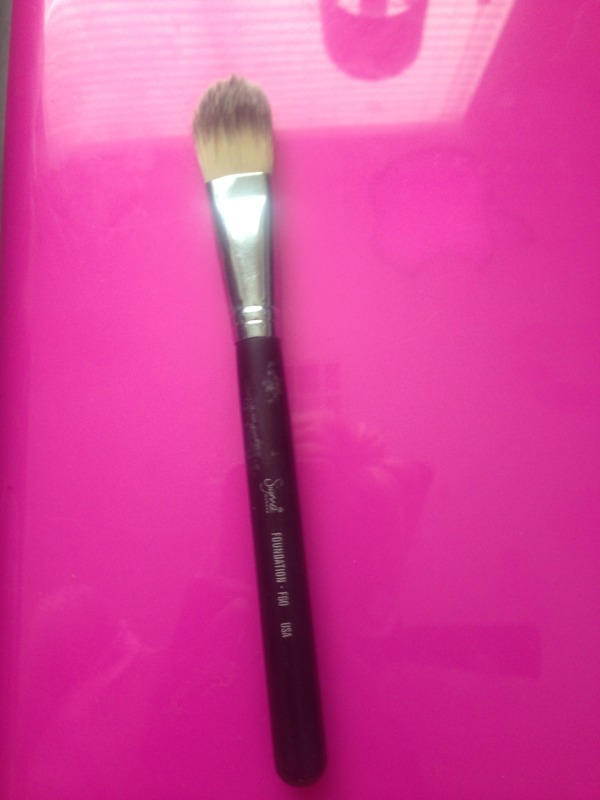 I apply the product with an old foundation brush I don’t really have any other use for. I find that the brush helps distribute the product evenly on my skin without wasting excess amounts of the mask. The first thing I noticed as the mask went on was that there was a gritty sand like texture to it. Which is where the exfoliation comes into play. The next thing I noticed was an intense tingly sensation. Not gonna lie…it was almost shocking. The company says that product contains no acids or enzymes and the tingling is blood flow which is what stimulates the collagen synthesis. The NEXT thing I noticed is how QUICKLY it dries. 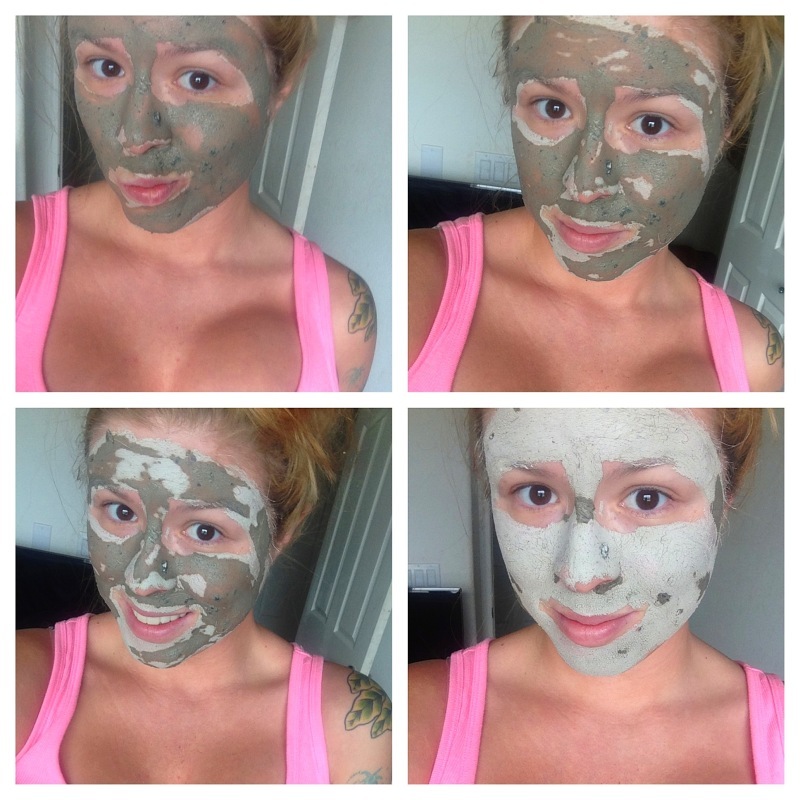 Most masks take about five minutes for the drying to even begin after application. 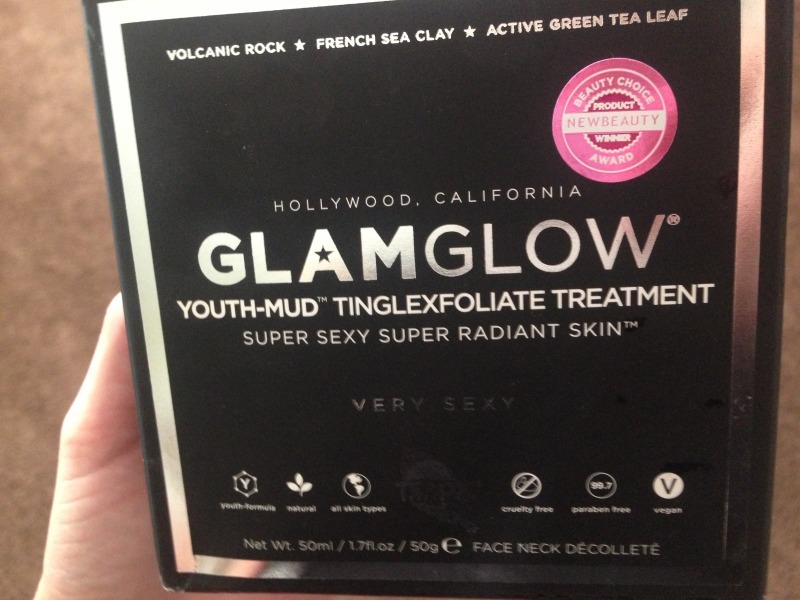 When the GLAMGLOW people say it delivers powerful results in just ten minutes…they are not playing! Because you will notice that the mask will begin drying almost immediately. Below is a picture of the drying process. First pic was taken one minute after application. The second was taken three minutes after application. The third seven minutes after, and the last nine miuntes after. When you go to rinse off the mask you will really notice the awesome benefit of the volcanic pumice rock. You probably already know that when you rinse off a mask you kind of have to rub your face repeatedly with warm water to remove the dried product from your skin. With the added pumice rock you are automatically kinda forced to exfoliate your skin. I love me a two birds one stone kind of product!!! The result is visibly glowing skin. I…kid…you…not. Your skin looks fresher in tone and your pores are noticeably tighter in appearance. Don’t even get me started on how smooth and soft it is. I can see why this would be a makeup artist DREAM product. It preps and primes the skin for makeup application beautifully. I don’t care what ANYONE says… you can spend all the money in the world on all the makeup in the world, but if your skin isn’t properly moisturized and exfoliated, it wont make a difference and it certainly wont look very nice. Makeup tends to adhere to textural inconsistencies in your skin…like dry pathces..and your almost going to look better without any on at all that point. BOTTOM LINE: I LOVE LOVE LOVE LOVE LOVE this stuff. When I run out of the black bottle I am going to try the white and then eventually include both into my professional kit. Granted, having the TIME to add a ten minute face mask to a makeup application is rare but when I do get the chance I cant wait to see how excited my clients will be about the over all improved state of their skin and the performance of their makeup. I know it is expensive. Its almost TOO expensive to get around…but you do get ONE skin in your life. And if you save a little money here and there and get the chance to purchase this product you will NOT regret it. Hope all is well with you guys! Don’t forget to find and LIKE my page on Facebook (facebook.com/Whitneylovesmakeup) and find and follow me on Instagram (@whitneylovesmakeup). Have a wonderful 4th of July Holiday!!!!! !